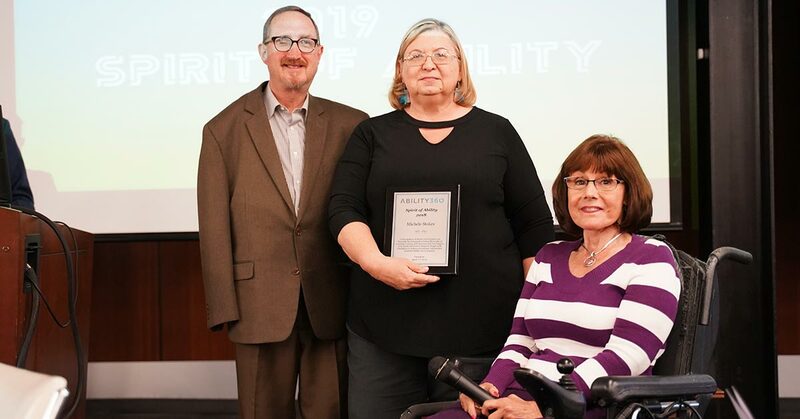 The Spirit of Ability Award is presented in recognition of actions that promote and personify the independent living philosophy of consumer control, self-advocacy and peer support. The deeds of the awardee will forever empower people with disabilities to achieve or continue independent lifestyles within the community. For nearly three decades, Michele Stokes has devoted her life to making our community more inclusive, accepting and compliant with the letter of the law and the spirit of the American with Disabilities Act of 1990 (ADA) law. No matter the role, behind the scenes or in front, Stokes’ passion has always been apparent. Stokes runs a nonprofit that facilitates independent living and specifically works with housing developments to accommodate people with functional needs. In addition, Stokes has worked in various capacities for the City of Phoenix. For 13 years, she worked with City of Phoenix Parks and Recreation, rotating through multiple roles, including clear path job training program and clear path to Daring Adventures, tribal outreach and Asian and Pacific Islander outreach programs. Stokes also worked as the compliance & enforcement equal opportunity specialist for the Phoenix Mayor’s Commission on Disability Issues and various other commissions tasked with employment of people with disabilities. She served as ADA Title II Coordinator and implemented ADA throughout the city by establishing a network of liaisons, community supporters and commission contacts. On top of all this, Stokes has presented numerous times to various groups on the ADA law, the benefits of compliance and disability awareness sensitivity training. Stokes has been a role model, an advocate, an educator, a leader and a friend of Ability360. We are so thrilled to announce the 2018 Spirit of Ability Award to Michele Stokes. 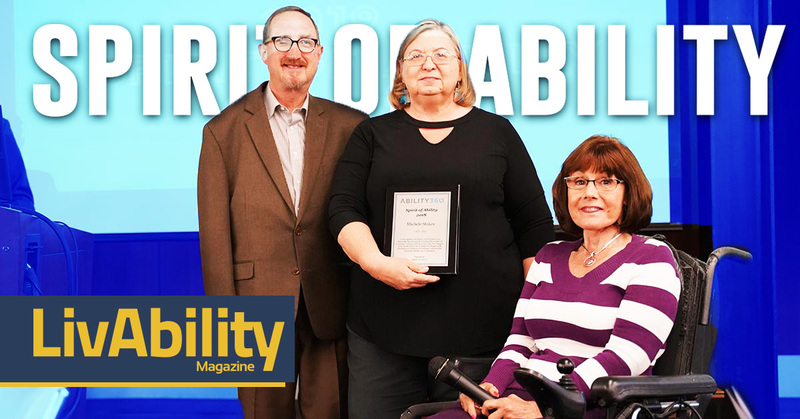 For more information and pictures of each winner, please visit www.Ability360.org/LivAbility.